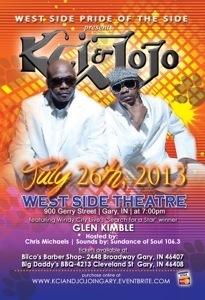 K Ci & Jo Jo in Gary, IN! K Ci & Jo Jo Tickets HERE! Love random yet structured blogs? Follow this blogger craze! Don't forget to click on B&B and That Trendy Man once you're in!